NRG EVgo, America’s leader in Electric Vehicle DC Fast Charging Solutions, has entered into a Memorandum of Understanding (MOU) with the University of California, San Diego to help support developments in sustainable energy technology. The agreement formalizes an already strong collaboration focusing on the intersection of electric vehicles and energy storage. EVgo is leading two projects at the university. In the first project, EVgo has constructed a site for assessing how owners of electric vehicle DC charging sites can leverage solar, battery storage and control systems to mitigate site host demand charges and provide services to the grid. In the second project, EVgo will operate a fleet of nine bidirectional electric vehicles from Nissan and Honda, including a modified version of the Honda Accord Plug-in Hybrid, to test applicability of vehicle to grid technology for California. This vehicle to grid work builds off of EVgo’s current collaboration with the University of Delaware. In 2013, EVgo and the University of Delaware, working with PJM Interconnection, brought online the world’s first project where electric vehicles served as an official resource on a power grid. The energy resources from both projects will feed into UC San Diego’s microgrid, considered one of the most advanced microgrids in the world. Serving more than 45,000 people, the microgrid generates more than 85 percent of the electricity used on campus annually and saves the university more than $8 million a year in power costs. The microgrid is an integrated system of energy sources – including solar, a fuel cell and a cogeneration plant – and energy storage along with the software that controls each system. 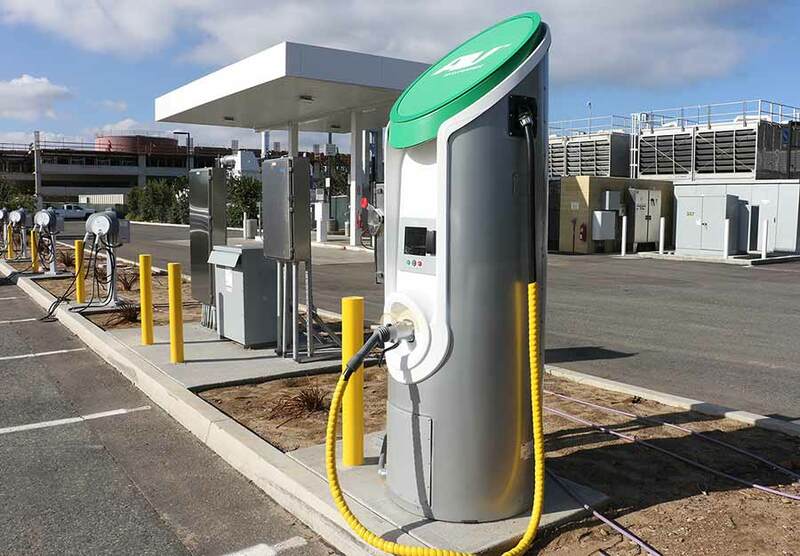 As part of the agreement, EVgo is funding UC San Diego faculty and staff to support the projects’ physical installations as well as EVgo’s research, development and demonstration objectives. Both parties also see this collaboration as an opportunity to support California in its future energy goals, especially with respect to zero emissions vehicles, the increasing use of energy storage and the integration of renewable energy into the distribution grid. The increasing adoption of these technologies will have public health benefits, including for low-income communities.